Final Days of the Summer Giving Campaign! $25 for every new donation until July 15!! New Professional Development in August! MAEOE is leading a 3 day Summer Institute: Birds and Humans in the Changing Watershed! Check our newsletter to learn more about details of the May Youth Summit, RFP for February's Conference, Professional Developments, and Grant Opportunities! 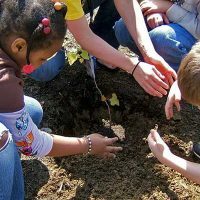 Maryland Green School Program grows to 621 schools, 27% of all Maryland schools! Maryland Green School Program grows to 618 schools, 27% of all Maryland schools! 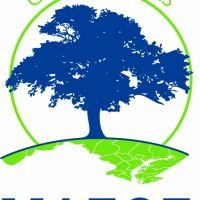 Columbia, MD – The Maryland Association for Environmental and Outdoor Education (MAEOE) announces 2017/18 numbers for its flagship program, Maryland Green Schools. This Earth Day we celebrate 618 Maryland Green Schools, 27% of all Maryland schools. 144 successful applications were submitted, including 83 schools recertifying their Green School status. We welcome 52 new Maryland Green Schools! Nine schools have achieved sustainable Maryland Green Schools status, they have participated in the program for 14 years. “These schools are part of a national and international community of sustainable green schools. Our students are becoming better stewards of our Earth’s resources and developing a better understanding of their own local environment,” says Laura Johnson Collard, Executive Director, MAEOE. The program encourages educational opportunities for preK-12 schools that increase the students’ awareness and understanding of environmental relationships that have an impact on public health and the local community. 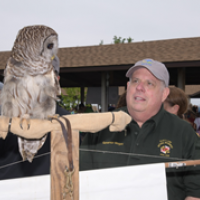 The program is aligned with Chesapeake Bay Watershed Agreement 2014 goals and supports Maryland State Department of Education environmental literacy graduation requirements. MAEOE will hold the award Celebration at its 8th Annual Maryland Green School Youth Summit, May 31 at Sandy Point State Park. We congratulate all of the schools that have participated this year! For more information about the Maryland Green Schools program visit www.maeoe.org. About MAEOE: MAEOE is a non-profit organization. MAEOEs mission is to encourage, engage and empower the community to understand, responsibly use and promote the natural world. MAEOEs Maryland Green School program began in 1999. For a complete listing of Green Schools and Green Centers visit www.maeoe.org . Extra! Extra! The February newsletter is now available. Check out The Washington Post news article about MAEOE, Green Schools, and Environmental literacy! Help the MAEOE Endowment grow: anonymous donor will add $100 to your pledge before December 31, 2017! The MAEOE fall newsletter is now available. MAEOE Conference Registration is Open! Expand Your Influence! Empowering Action for the Environment: 33rd MAEOE Conference Registration is open!